This Community Health Assessment, a follow-up to similar studies conducted in 2007, 2012 and 2015 is a systematic, data-driven approach to determining the health status, behaviors and needs of residents in the Quad-Cities and Muscatine areas. The "community" defined for this study includes residents of Scott and Muscatine Counties in Iowa and Rock Island County in Illinois. For over a decade, the sponsors of this study have been collaborating on improving health status and quality of life in the Quad-Cities region through the Quad City Health Initiative (QCHI). This work together has been rooted in periodic community health assessments conducted by the health systems and health departments. New reporting requirements and best practice trends encouraged our local health partners to redesign our approach to community health assessment and create a comprehensive assessment process that meets the information and reporting needs of all partners. Our coordinated assessment approach included primary data collection, secondary data analysis, and qualitative input from community leaders. Each of our health departments convened a community health task force to review and prioritize secondary data and collect qualitative input from community leaders in Scott, Muscatine, and Rock Island counties. In addition, through QCHI, the health systems funded a survey and data collection for the bi-state area. Based on that assessment, Trinity developed a Community Health Improvement Plan focused on key areas identified in the assessment. Read that plan here. UnityPoint Health - Trinity and other community health leaders are sponsors of a new petition that will seek a change in city codes throughout the Quad-Cities to ban smoking within 100 yards of outdoor public children's play equipment, youth athletic fields and family-centered activities. 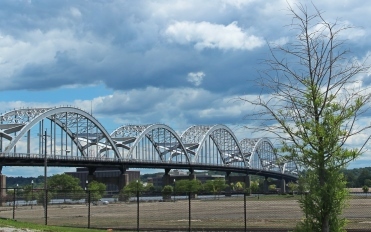 Residents of the Quad Cities are able to sign the petition and will be asked for their individual city name when signing. Trinity became a tobacco-free campus in May 2006.